YOU CAN'T miss Nemrut, a newish Kurdish-Turkish restaurant on Albert Road in Southsea, thanks to its distinctive large lettering above the small 30-seater eaterie. Specialising in delicious and exotic dishes from across Turkey, Nemrut offers great cuisine right in the heart of Southsea. Our dishes are made with the finest, fresh ingredients and our chefs take the greatest of care in preparing your meal offering a wide selection of choices on our menu, many of which are suitable for vegetarians too. Try a delicious Turkish wine or a glass of Raki with your meal then finish with a Turkish coffee while you spend a memorable evening in our warm and hospitable restaurant. As well as many choices of dishes cooked on the charcoal grill we have a large selection of mezes to chose from made from fresh vegetables and exciting spices which can be shared like tapas! Our meat is always top quality and sourced from selected butchers. 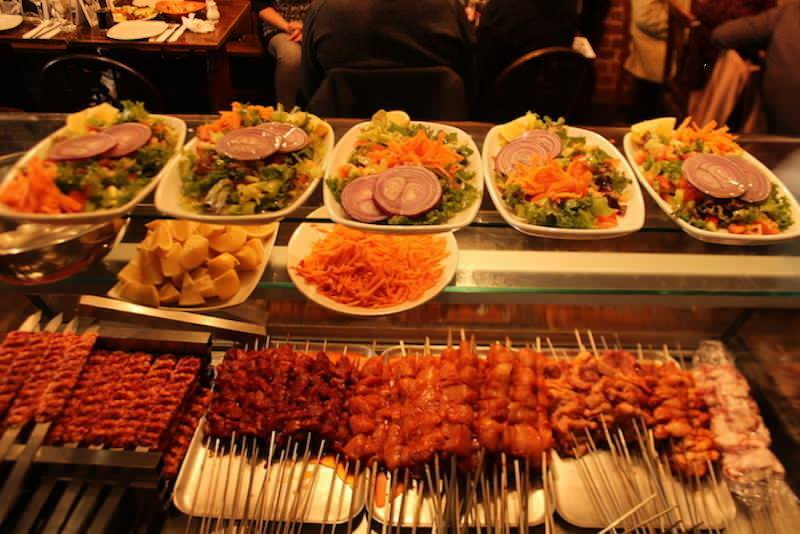 Dishes containing meat cooked to order and served with our special sauces, rice, salad and specialty Turkish bread. When it comes to drinks we have all you can ask for including special Turkish wines, beer and spirits including Raki. As well as these, selection of Turkish desserts and Turkish tea are available in our restaurant. Please check out our menu page for all the available options. We deliver too! Our delivery radius is within 3 miles of our postcode PO5 2SN and minimum order for free delivery is £15. If you fancy to visit us don't forget that you can book a table 24/7 via our online booking page! Whether you are looking to have your birthday celebration, a romantic evening dinner for two, a friends gathering or would like to have a relaxing family meal why not pop over to our cosy restaurant?